The terrible truth about Manderley is that someone is always watching. Manderley Resort is a gleaming, new twenty-story hotel on the California coast. It’s about to open its doors, and the world--at least those with the means to afford it--will be welcomed into a palace of opulence and unparalleled security. But someone is determined that Manderley will never open. The staff has no idea that their every move is being watched, and over the next twelve hours they will be killed off, one by one. Writing in the tradition of Edgar Allan Poe and Stephen King, and with a deep bow to Daphne du Maurier, author Gina Wohlsdorf pairs narrative ingenuity and razor-wire prose with quick twists, sharp turns, and gasp-inducing terror. Security is grand guignol storytelling at its very best. A shocking thriller, a brilliant narrative puzzle, and a multifaceted love story unlike any other, Security marks the debut of a fearless and gifted writer. 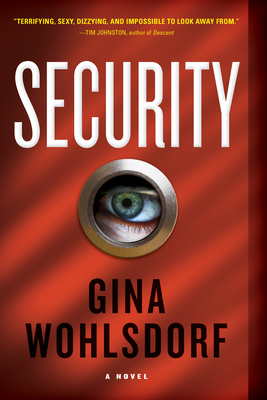 Gina Wohlsdorf’s first novel, Security, was chosen as an Amazon Best Book of 2016. She lives in Colorado.